People squawking on their phones on public transportation is annoying as hell. That’s why one Chicago man allegedly took it upon himself to jam fellow commuters’ cell phone signals as part of a morning ritual that lasted months. Now he’s a charged felon in jail, being held for a $10,000 bail. 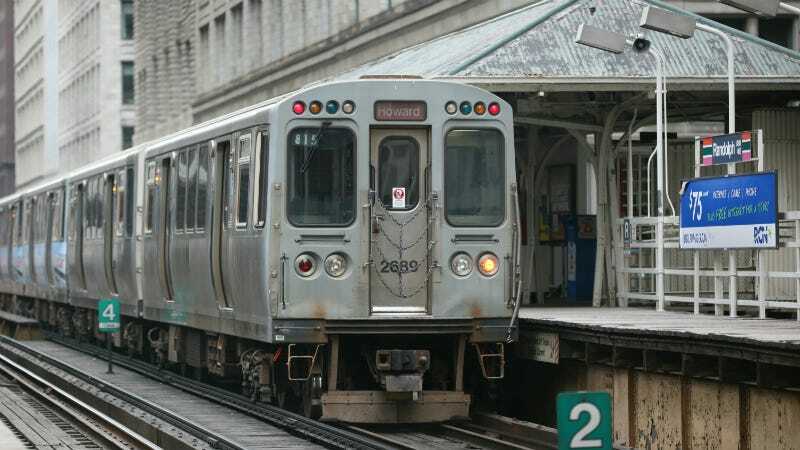 Dennis Nicholl, 63, is accused of jamming mobile phone signals aboard the Red Line train in Chicago—a habit that one fellow Red Line commuter claims has been happening since 2014. It’s because people talking on trains annoy Nicholl, his lawyer says. Nicholl had allegedly operated an object that the Chicago Sun-Times describes as “an object that had five antennas” and that was “shipped from overseas.” Nicholls knew the gizmo was illegal. Police say passengers had been complaining about cell phone service on the train for months (Nicholl takes the Red Line to work everyday), and that one concerned passenger had even dialed 911. That’s when the cops got involved. Cops started working with the Chicago Transit Authority and the Federal Communications Commission, the Chicago Tribune reports, working off a tip they received months ago, as well as a submitted photo of Nicholl holding the black electronic jammer. After setting up plainclothes surveillance on the train, an undercover officer on Tuesday recognized Nicholl from his photo and sat near him. The cop used a personal cell phone to try to make a call, and it was immediately dropped. That’s when Nicholl was arrested. Today, Nicholl appeared in court, where the judge called him “the cell phone police.” He is being charged with a felony: one count of “count of unlawful interference with a public utility,” the Sun-Times reports. Apparently, Nicholl pulled a similar stunt back in 2009, but was only charged for a misdemeanor that time, and that jammer was confiscated and destroyed. People are debating whether he’s a hero or a villain. I’d be pissed if my phone ever got jammed—but hey, if something keeps other people from chattering obnoxiously or texting-and-walking, I guess I wouldn’t complain.